WASHINGTON: Paywalls were supposed to help rescue newspapers from the crisis of sinking print circulation as readers shifted to getting their news online. Newspapers in the English-speaking world ended paywalls some 69 times through May 2015, including 41 temporary and 28 permanent drops, according to a study by University of Southern California researchers. 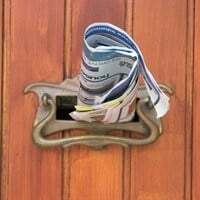 Paywalls "generate only a small fraction of industry revenue," with estimates ranging from one percent in the United States to 10 percent internationally, the study in July's International Journal of Communication said. "People are far less willing to pay for online news than for print," said USC journalism professor Mike Ananny, an author of the study. Newspapers are in a difficult spot, he added, because online advertising generates a fraction of print's revenue, and news organizations are already pressured by falling print circulation. Alan Mutter, a former Chicago and San Francisco newspaper editor who now consults for media organizations, said the research confirms that paywalls have value in relatively rare circumstances. The New York Times, Wall Street Journal and Financial Times have been relatively successful with paywalls because of their unique content, he said. "It's hard for a general-interest website to charge for news that you can get for free with a few clicks." Paywalls can backfire also "because they put a barrier between the newspaper and the casual reader," he added. "They are truncating the size of the digital market, when the most important factor for digital is scale." A survey this year by the American Press Institute showed 77 of the 98 US newspapers with circulations above 50,000 used some type of online subscription, which could be a "hard" paywall that fences off all content or allows some free. But a number of English-language news organizations have dropped their paywalls in recent months, including the Toronto Star, and British dailies The Independent and The Sun. Among US dailies, the San Francisco Chronicle dropped its paywall in 2013. The Dallas Morning News did the same in 2014 before reinstituting a "metered" system allowing up to 10 free articles. Newsweek lifted its paywall for most content in February, limiting the number of free magazine features for nonsubscribers. A study this year by Oxford University's Reuters Institute for the Study of Journalism found only 10 percent of readers in English-speaking countries were willing to pay for digital news. That number rose to 15 percent in Denmark and Finland, 20 percent in Poland and Sweden and 27 percent in Norway. "English-language publishers face a more difficult task in trying to build a large paywall business because there is so much free English content," Mutter said. Of the paywalls erected in the past few years, many have delivered lackluster results, said Ken Doctor, a media consultant who writes the blog Newsonomics. "The ones that were launched in 2012 to 2014 had good early results and they all largely stalled," he said. "They are no longer gaining much in the way of new digital subscriptions, and their print is in rapid decline." But there are some notable successes in addition to the most prominent newspapers, Doctor said. The Boston Globe raised its digital subscription price sharply to $1 a day and kept 90 percent of its subscriber base, and the Minneapolis Star-Tribune has also had success boosting digital circulation revenues, he said. Succeeding with paywalls means taking a long view and investing in journalism as well as technology, Doctor said. "A publisher focused on the long term will recognize that it is reader revenue that is going to have to get them through this disruption," he said. "That means they need a large and experienced enough newsroom so the audience feels they are getting something sufficient and something unique," he added. "They also need to invest in the digital products so the experience is better." However, Mutter argues that paywalls run counter to the goal of boosting readership, and that news organizations need to think differently. "Print is failing and digital is hard," he said. Although newspapers are losing online ad revenues to online platforms, they have the advantage of knowing their local markets and businesses. "They have to work hard at being local marketing partners in the markets they serve," Mutter said. USC's Ananny said news organizations need to find creative ways to develop pay models that don't put readers off. He also expressed concern that expanding paywalls may lead to a new "digital divide" where information is available only to those who can afford to pay. The research suggests that "news organizations serve themselves and readers best when paywalls are fluid," he said. Many papers open up free content during major news events or emergencies, fulfilling a civic role, he noted. Others charge readers for access to special features or content. "News organizations had better understand why they are dropping or raising paywalls," he said. "If it's done in an ad hoc or random manner, it doesn't help."